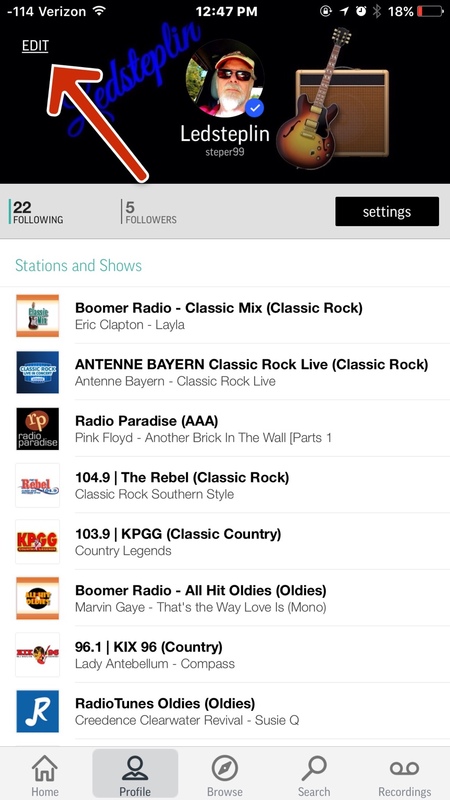 How can i delete some of my radio channels from my Tune In radio app? I have an ipad 4 and have not been able to figure it out. I need more storage space. 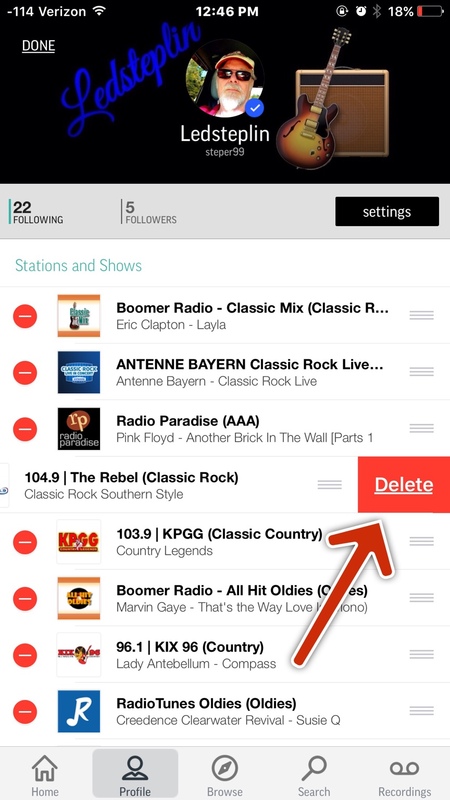 Deleting channels on TuneIn Radio won't give you more storage space. Deleting or moving photos will. Deleting music and messages will. Also emails, Notes, and apps. Deleting cache where possible helps. 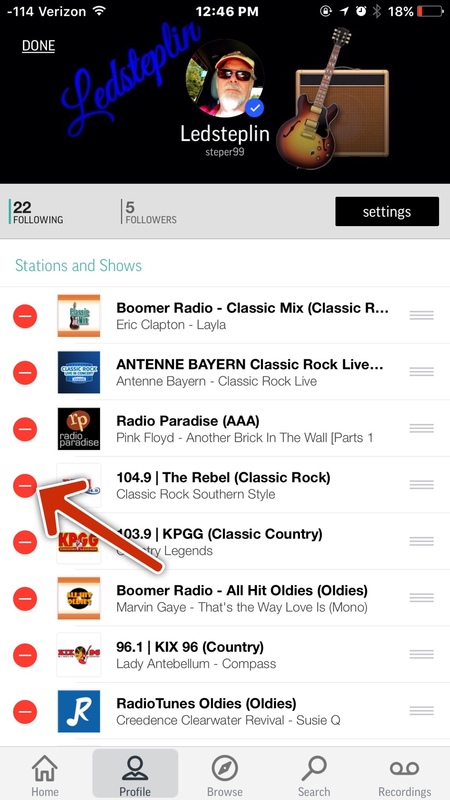 To delete a favorite station, tap "edit" in the upper left corner. Then tap the red - dot. I have a charge on my credit card & I don't know what it is for? Why can't I save 'favorites' in YouTube on the new AppleTV? How do I find someone with a phone contact? How can I change from grayscale to color?